Vedrana Apartments - comfortably furnished rooms owned by Visković family, directly on the beach in the tourist center of Podaca, 30 km from Makarska. Family Visković is one of the first families to start tourism in the village of Gradac (since 1961) featuring bio farm and a taxi service. We speak German and Czech. Enjoy you vacation in the peaceful environment of our terrace and pebble beach. Perfect sea view from each apartment. 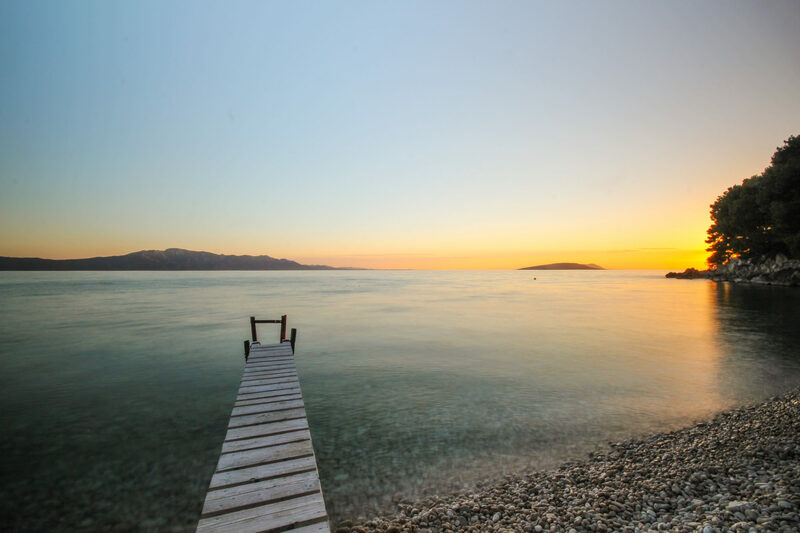 There is 16km long "lungo mare" so you can walk through the whole Riviera Gradac. It is perfect for jogging and cycling, and we also have wonderful mountain paths for hiking lovers. Explore our gallery for better impression. Find out how did our ancestors live in the past. Afternoons are reserved for trip to medieval village of Podaca where we can organise dinner and drinks for you in the ambient of old stone house. Price on request. Also, there are many things to see around. Check out our reccomendations! Explore nearby cities and attractions with our own taxi service. Visit Split, Dubrovnik, Mostar or nearby islands Hvar and Korčula. We can organise custom day trips to various locations. Contact us for more information! All photos are property of vedrana.info.